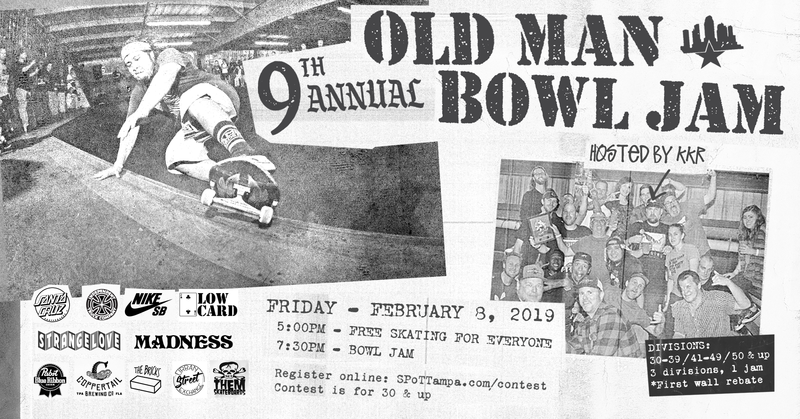 Our annual Old Man Bowl Jam is like the Tampa Pro for retired pros, old GOATS, team industry heads, grandpas, etc.... contest is strictly ages 30 and up, so don't bring your grandkids. There's usually free beer and BBQ and Kyle Randall will scream at you on the mic when he's not winning the Longest Boardslide Award. Lace up and dive in the SPoT Bowl if you think you've still got some skills left. You must sign a waiver to enter our Contests. You can do that online right here. We know you're on the 'Gram and Facebook as much as we are, so here's an image you can use to help hype up the contest. 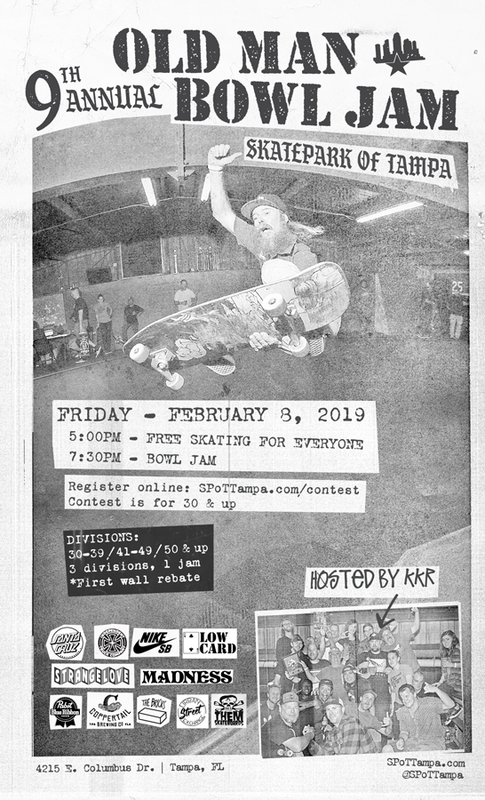 Stalk us on social media at @SPoTTampa, using the hashtag #SPoTTampa and #OldManBowlJam.